Throughout Stephen’s musical career, he has performed in numerous concert tours and festivals both in the UK and overseas. These have been both in his own right usually with arrangements for two guitars of his instrumental and orchestral music and also as supporting artist to major musical stars. The MD of Coda Records went on to create The Landscape Satellite TV Channel made up of high quality instrumental music set to images of nature and often dramatic film footage. Stephen’s music was featured very strongly at the launch of the channel and is still featured to this day on Landscape Channel programming on Sky TV. Another spin-off of the association with Coda Records was various performances in festivals at the South Bank in London, particularly the Purcell Room and the Queen Elizabeth Hall. One of the dates on the first New Age tour was at Ronnie Scott’s Jazz Club in London where Stephen was very warmly received. Stephen didn’t know until afterwards but in the audience was a party of Japanese record company executives from Pony Canyon Records and as a direct result of their enjoyment of Stephen’s performance, he was invited to perform in a concert tour of Japan. 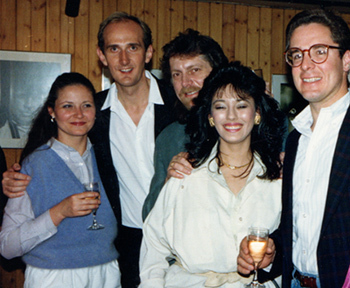 Also in the audience that night was Louis Clark of ‘Hooked on Classics’, ‘Classic Rock’ and Electric Light Orchestra fame who had conducted the World Premiere of Stephen’s symphonic rock poem: ‘Wine Dark Sea’. By this time Stephen and Louis had become firm friends and right is a photo taken backstage at Ronnie Scott’s. Another tour which was particularly gratifying took place in the small German town of Markneukirchen, famed for its string and brass musical instrument makers. Whilst there Stephen was invited to perform at the music conservatory and also to return to give a lecture on guitar improvisation. Probably the most high profile tour that Stephen has been involved in as a guest supporting artist was to the legendary Art Garfunkel. This was a UK nationwide tour performing in major venues including the NEC Birmingham and culminating in three nights at London’s Royal Albert Hall. Stephen’s accompanist for this tour was Tim Panting and this was the second time Stephen and Tim had toured together. 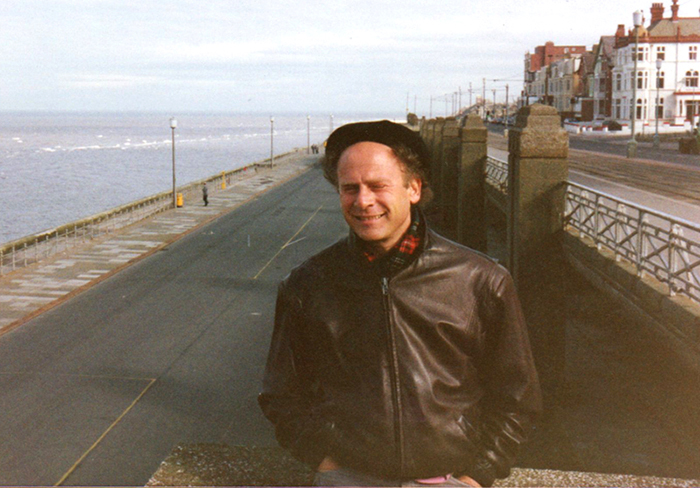 Right: Stephen snapped this impromptu photo of Art Garfunkel on the sea front in Blackpool the morning after their performance at the Blackpool Opera House.